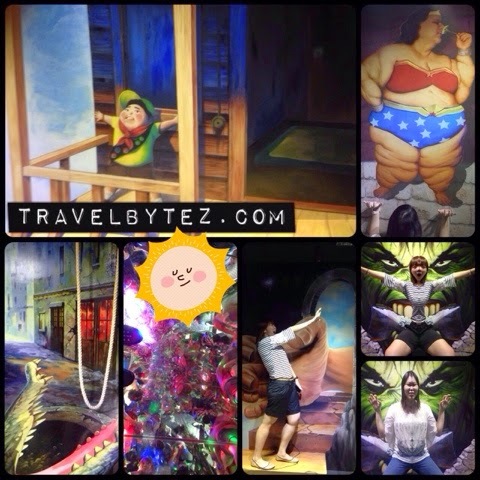 Alive Museum, previously known as Trick Art Museum, is one of (South) Korea’s biggest chains of illusionary museum which incorporates 2/3D artworks set in different angles to create interesting 3D visual illusions; offering an interesting ‘interactive’ artful experience where visitors can ‘interact’ with the pieces by posing and taking ‘creative’ photos. And it is finally here in Singapore! 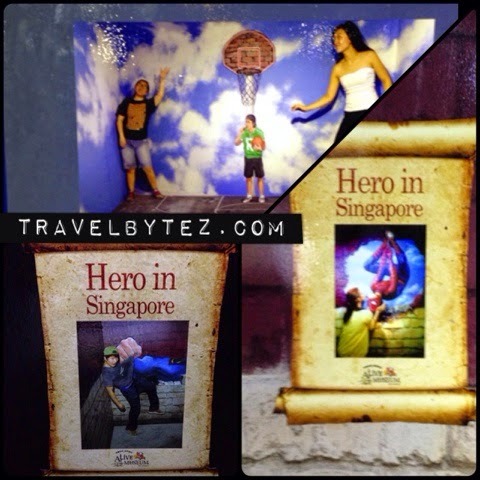 It is located at Suntec City which makes it relatively convenient to get to too. 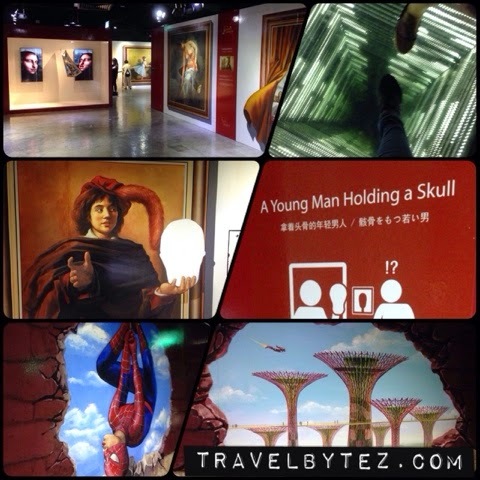 The adventure started when I meet up with D and we made our way to Alive Museum full of anticipation. When we arrived, we were in awe: there were countless of art pieces (ok there were about 80 or more art pieces, but it’s been a while since we were in a museum so it seemed countless). Once we were inside the museum, we slowly warmed up and were soon busy posing and taking (some ridiculously posed) photos. There was none of that ‘stuffy’ museum aura with stern security guards eyeing your every move and signs plastered (almost) everywhere to tell you that no photography is allowed. Contrary to that, there were signs everywhere encouraging you us to ‘interact’ with the art pieces by posing and taking a photo (or two) with them. So it ended up being a fun day filled with nothing but doing funny poses and taking photos with the art pieces. It was a crowded weekend, making it slightly challenging getting some good shots with some of the more popular art pieces, but we still managed to have a fun time posing silly and snapping photos away. 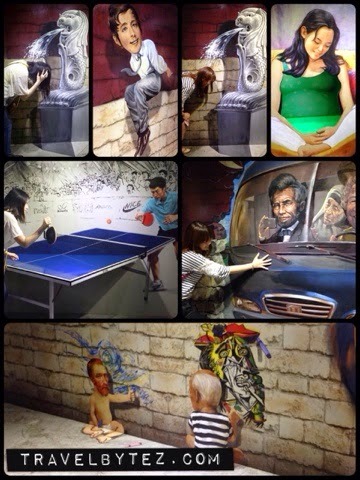 For the few times that we were out of ideas, there was signage (next to the art pieces) to give inspiration on how to pose, where to stand etc… And in addition to the paintings, there were mirrored floors and walls to add to the ‘interactive’ experience… Ultimately we had a blast; even though we were somewhat camera shy (initially)! 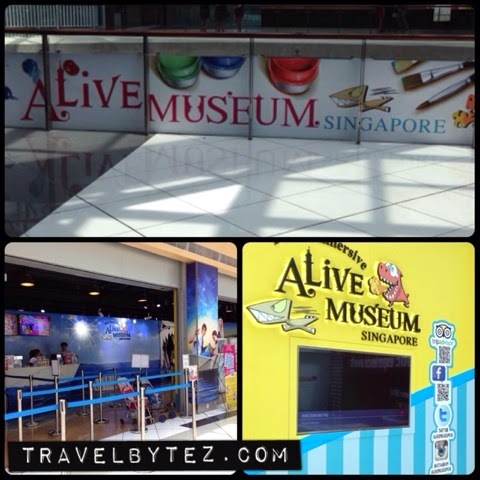 So is it worth to make a trip down to Alive Museum? The answer would be an absolutely yes! Especially if you have not visited before, and/or want a fun day out with friends or family which involves taking lots of ridiculously fun (posed) photos in a artistic environment to bring out your inner artist (lol). It is also the perfect place if you are the sort who just likes to take photos. And there will always be a reason to return: 30% of the exhibits will be switched for new ones ever 12 to 18 months! If you are going in a family, the family package might be more worth it. If you have the Passion Card, you can save 20% off the original ticket pricing. 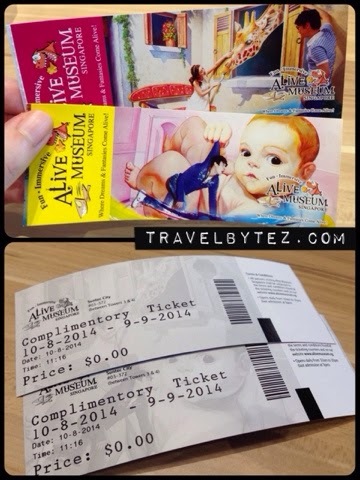 Current Promotion: Present your full priced ticket and "Like" Alive Museum Facebook to redeem a Burger King Meal worth S$7.85. Offer valid from 21 June to 30 September 2014. While stocks last.